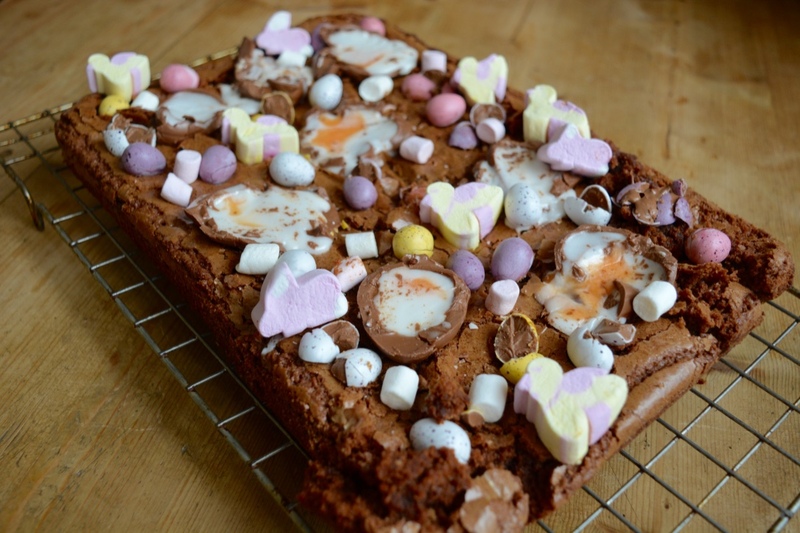 A couple of weeks ago, I saw the most amazing Easter themed brownies and I instantly wanted to make my own version of them. I have been making brownies for many years and they are the only thing I can bake really well without sounding too big headed. My mum has already requested that I make them again, I somehow only managed to snag myself two of them before they were devoured by friends and family and will be making them again next week in time for Easter. My chocolate brownie recipe is one that was cut of a newspaper a couple of years ago and is the best brownie recipe that I have come across, it is simple and very easy recipe to follow. Depending on how small you like to cut the brownies you can make on average around 24 brownies, which is a decent amount if you ask me and if that is too many, then simply split the ingredients by half. Preheat the oven to 150°C/gas2. Beat together the eggs and sugar until pale. Melt the butter in a pan over a gentle heat and stir in the cocoa, then in the egg mixture. Add the vanilla and flour, and stir in well. Pour the whole mixture into the baking tin and bake for 20-25 minutes. 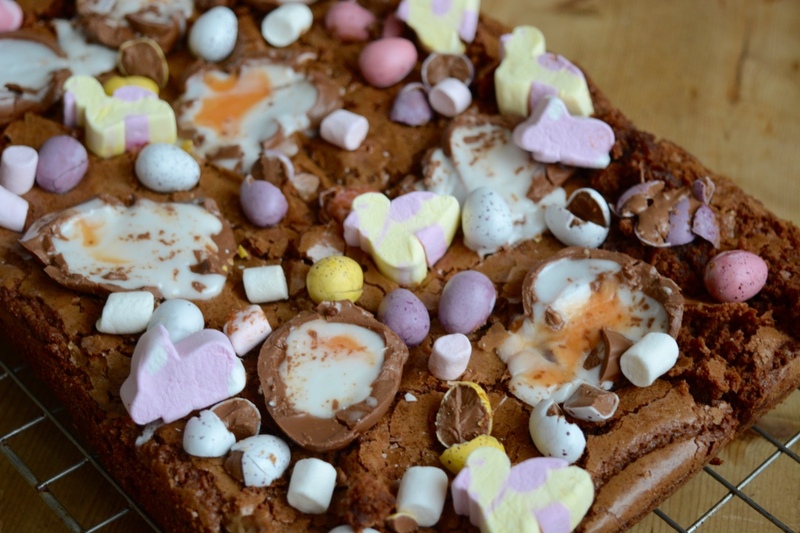 When the brownies look nearly done, place the cut up Cadbury Creme Eggs and Mini Eggs onto the brownies for them to melt a little bit. Personally I like them only slightly melted, so only leave them in for a minute or so. Once taken out of the oven, add the marshmallows wherever you want them. Allow the brownies to cool for at least an hour, then cut the brownies up into the size you want.